Independent agency The Works has created an Australian first with VisitCanberra, launching a travel app for visitors that produces customised sharable video content of their upcoming trip and an itinerary builder. The multi-platform application is designed to provoke the emotions associated with travel to create the ‘best weekend ever’ for visitors. The VisitCanberra Video app serves up two to three second videos of more than 100 possible experiences that travellers can choose from producing a movie montage of their upcoming trip to share across their social media channels. Recent Datafication research released by The Works and University of Technology Sydney discovered how Australians engage with social media apps, identifying five psychological motivators that dominate social sharing, the VisitCanberra app taps into these insights to convert consideration of a weekend in Canberra to an actual booking. “Social video is clearly the dominant communications medium but to date has offered little opportunity for customisation, curation and functionality, the VisitCanberra app uses video to inspire and plan your experiences and share your plans with engaging and on-trend content,” Nicol added. Ian Hill, Director of VisitCanberra said, “The app helps to bring Canberra’s One Good Thing After Another tourism message to life. It capitalises on Canberra’s unique selling point as a short break destination – our incredibly diverse range of experiences, all of which are located in close proximity to one another. 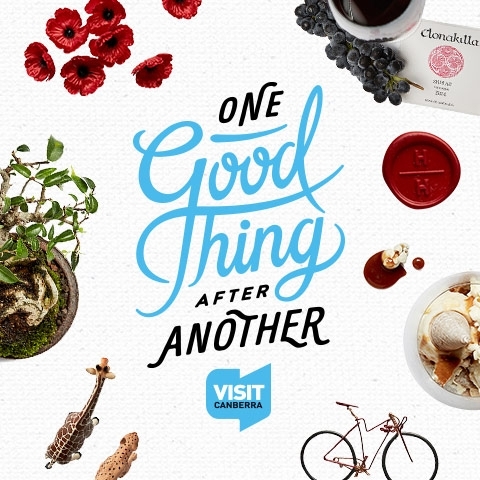 “Whether you’re looking for blockbuster exhibitions, award-winning restaurants and wineries, world-class mountain biking tracks or something fun for the kids to do, everything is just moments away in Canberra. As part of the second phase of the One Good Thing After Another campaign platform, Maxus Australia will be re-targeting exposed audiences to download the app with additional media planning driven by mobile and programmatic audience optimisation, cinema and Shazam-enabled interactivity. Visit Canberra’s goal is to grow the value of overnight visitor expenditure to $2.5 billion by 2020. The ACT tourism industry employs 14,700 people and contributes $1.62 billion to the ACT economy.